Research shows yoga can lessen the severity of symptoms, improve quality of life at a physical, psychological, and spiritual level, and improve biological parameters. Yoga is a quintessential mind-body practice combining movement, controlled breathing and breathing exercises, and meditation. The focus on the breath in all aspects of yoga helps to reduce stress, leading to a healthy balance between mind and body. Yoga can help reduce our ‘flight-or-fight’ response that is common in the face of stressful situations and instead activate a state of relaxation and calm that can help relieve feelings of anxiety and distress. This can lead to improvements in overall health, as chronic stress is harmful to all aspects of our lives, including biological functioning, and has been found to speed the aging process. Other health benefits of yoga include increased flexibility, increased balance, improved mood, and reductions in fatigue, sleep disturbances, and inflammation. In October 2014, the Society of Integrative Oncology published guidelines to inform doctors and patients about the safety and effectiveness of complementary therapies specifically for women with breast cancer. Around 80 different therapies were analyzed. They rated yoga as having “A” level evidence, the top level, supporting its use for women with breast cancer. In fact, a study conducted by the Integrative Medicine Program at MD Anderson found yoga helped improve aspects of quality of life and lead to better regulation of cortisol (a stress hormone linked to poor survival among breast cancer patients) in women with breast cancer undergoing radiotherapy through six months later. • Increase in finding meaning from the illness experience as patients transition from active treatment to cancer survivorship. There are many different types of yoga and there is no evidence that one style is more beneficial than another. Taking into consideration safety and your level of physical conditioning, it is important to find an instructor, class and type of yoga that best matches your individual needs. 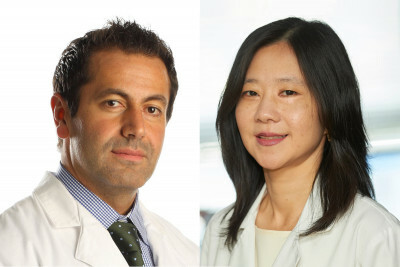 Oren Cahlon and Nancy Lee lead MSK’s efforts using proton therapy to treat a variety of cancers. In fact, proton therapy might be useful for any disease site and is increasingly being considered as an option for all cancer types. In addition to the cancers I already mentioned, our doctors are using it to treat select spinal tumors, soft tissue sarcoma, prostate cancer, andlung cancer. The Food and Drug Administration’s (FDA) approval of a new vaccine that targets five additional strains of human papillomavirus (HPV) fortifies a proven cancer-prevention weapon, according to Ron DePinho, M.D., president of MD Anderson Cancer Center. Katie Bispeck, research dietitian in Behavioral Science at MD Anderson, shares her list of foods that women should include in their diet to lower their cancer risks. “But that doesn’t mean you should eat these foods and nothing else,” Bispeck says. She recommends a diet rich in vegetables, fruits, whole grains, and legumes (like beans or lentils) to give your body the range of vitamins, minerals and antioxidants it needs to stay healthy. Eating a variety of healthy foods also helps prevent weight gain and can lower body fat. Below Bispeck shares seven foods you should include in a healthy diet. Kick-start your morning with a cup of coffee. Some research suggests women who drink several cups of black coffee every day are 25% less likely to develop a common type of uterine cancer, as well as other forms of the disease. “Coffee contains compounds that change the way a woman’s body uses certain hormones, like estrogen and insulin. This change may explain the drink’s anti-cancer benefits,” Bispeck says. But be warned: It’s not clear if a cup of decaf offers the same benefits. “And, adding sugar or cream takes away coffee’s cancer-fighting ability,” Bispeck says. Plus, sugar and cream can add unwanted calories. Lentils are dried beans rich in dietary fiber and fiber may reduce your chances of colorectal cancer. “Fiber helps your gut produce chemicals that stop tumor cells from forming,” Bispeck says. Fiber also keeps you full longer, helping you maintain a healthy weight. And, it can help lower cholesterol and blood sugar levels. Other great fiber sources include beans, whole-wheat pasta, barley and brown rice. Garlic is loaded with manganese, vitamins B6 and C, and selenium. Someresearch suggests these nutrients can fend off the cancer cell growth in your intestines. The pungent vegetable, great as a seasoning, also may help lower your risk of stomach, colon and breast cancers. Dark green leafy vegetables, like kale, spinach and broccoli, are one of the most nutritious foods you can eat. They’re bursting with fiber, vitamins, minerals and phytochemicals that reduce your risks of many different types of cancer, including colorectal cancer. Eating lots of leafy greens also can help you maintain a lean body weight and reduce your chances for heart disease and diabetes. Tomatoes are packed with lycopene, a natural chemical found in plants. This chemical is a powerful antioxidant that may lower breast, lung and stomachcancer risks. Other fruits with lycopene-fighting powers include watermelon, pink grapefruit and most fruits with red-colored flesh. Grapes are sweet and juicy berries thatcontain a ton of the antioxidant resveratrol, which may block the formation of breast,liver, stomach and lymphatic system cancers. A grape’s skin has the most resveratrol, so leave the skin intact. Red and purple grapes have more resveratrol than green grapes. Onions contain an antioxidant called quercetin. “It may help fight cancer by lowering inflammation in your body,” Bispeck says. Some studies show yellow onions and shallots may be particularly good at protecting you from liver and coloncancers. “Including these seven foods to your diet is a great way to help protect your body from cancer,” Bispeck says. But don’t stop there. A rainbow of fruits and vegetables. Limiting red meat and avoiding processed meat. Avoiding sugary beverages and energy-dense foods. Following these guidelines gives you the best chance to prevent cancer. Are Electronic Cigarettes Safer to Use than Conventional Cigarettes? Electronic cigarettes are battery-powered vaporizers that deliver nicotine and other additives in an aerosol format. An LED light at the tip simulates burning tobacco. 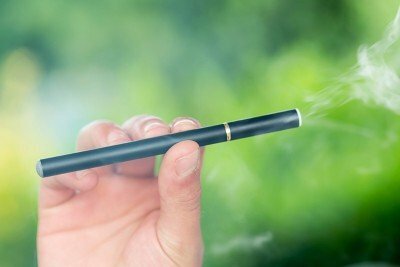 Update: On April 24, 2014, the US Food and Drug Administration proposed new rules that would expand its regulatory authority to include electronic cigarettes. As reported in The New York Times, the regulations would ban the sale of e-cigarettes, cigars, and pipe tobacco to Americans under 18, and would require that people buying them show photo identification to prove their age. Below is a post that addresses the FDA’s concerns on the safety of e-cigarettes, featuring assistant director of Memorial Sloan Kettering’s Tobacco Cessation Program, Jack E. Burkhalter. Many smokers around the world are choosing electronic cigarettes (also known as e-cigarettes) in the belief that they are less damaging to their health. Millions of Americans have joined the trend since the tobacco-free devices were introduced domestically in 2007, with sales estimated to reach $1 billion this year. Although they differ in shape and size, e-cigarettes basically all function in the same way. The user inhales through a mouthpiece, triggering a sensor that turns on a battery-powered heater. This action vaporizes liquid nicotine and activates a light at the tip. The heater also vaporizes substances such as propylene glycol and glycerol to produce theatrical smoke similar to the white puff produced when exhaling tobacco cigarettes. Flavorings such as mint, chocolate, and bubblegum are often added. Among the new users are many young people. The number that have tried e-cigarettes doubled from 2011 to 2012, according to the Centers for Disease Control, which estimates that a total of 1.78 million middle and high school children have experimented with the devices. As the assistant director of Memorial Sloan Kettering’s Tobacco Cessation Program, Jack E. Burkhalter hears questions and concerns about the safety of e-cigarettes every day. Dr. Burkhalter says he often hears smokers claim e-cigarettes must be healthier than conventional cigarettes because they do not contain tobacco. But e-cigarettes do contain a liquid form of nicotine, a highly addictive tobacco component that may cause changes in the developing brains of young people. And the consequences of long-term nicotine use in adults have not even been fully studied, Dr. Burkhalter explains. Most electronic cigarettes sold in the United States are imported from China, which does not regulate or standardize the products. Domestic e-cigarettes are not government regulated, either. As a result, users are left in the dark regarding how much nicotine or other substances they are inhaling. What those other substances might be is yet to be determined. While more research on the topic is needed, some studies indicate that e-cigarettes may contain a variety of chemicals, from suspected carcinogens to heavy metals and airway irritants. Nor has much research been done to determine the health impact of inhaling e-cigarette vapors into the lungs. It is becoming more evident that truly effective cancer care should simultaneously foster lifestyle changes that will improve biological processes and alter the tumor-microenvironment. The American Cancer Society, the American Institute for Cancer Research, and the Centers for Disease Control and Prevention indicate that at least fifty percent of cancer can be prevented through appropriate lifestyle changes such as eliminating smoking, maintaining a proper diet and healthy weight, minimizing alcohol consumption, and exercising regularly. These same lifestyle factors can also influence outcomes for a number of cancers including breast, colorectal, and endometrial cancer to name a few. click here for the rest of the story from MD Anderson Cancer Center. 5. Do They Specialize in a Particular Massage Modality? 6. How will They Modify Massage for You?